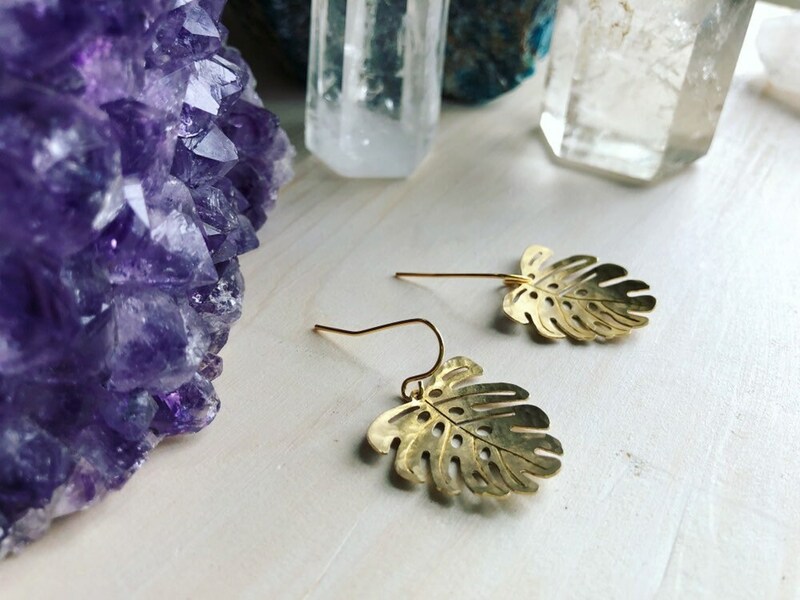 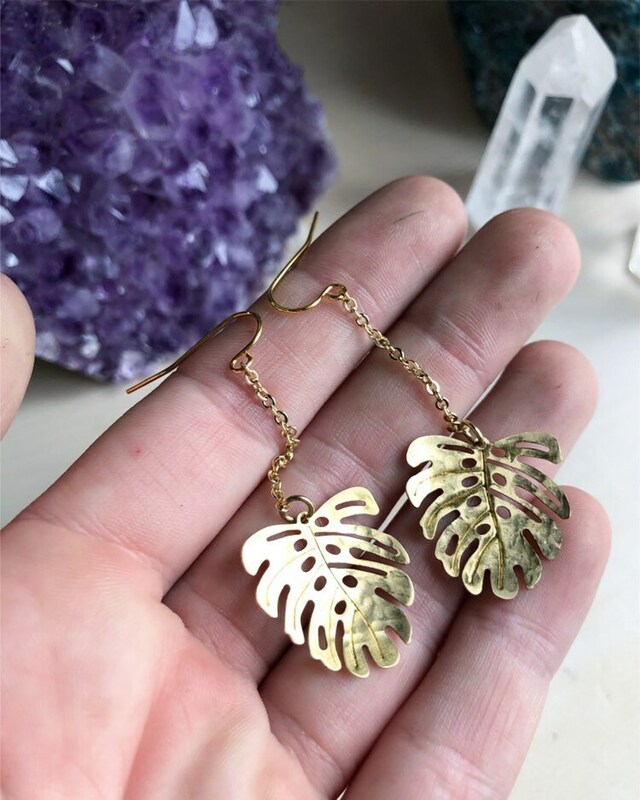 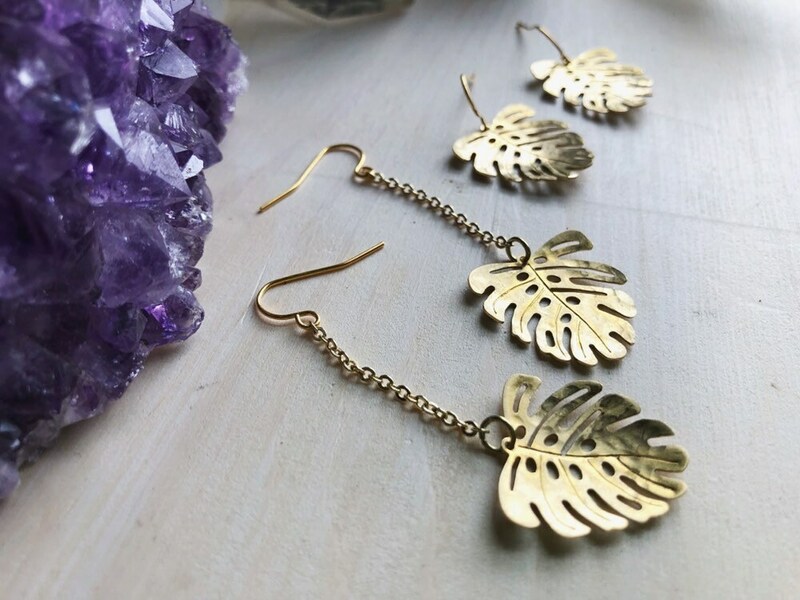 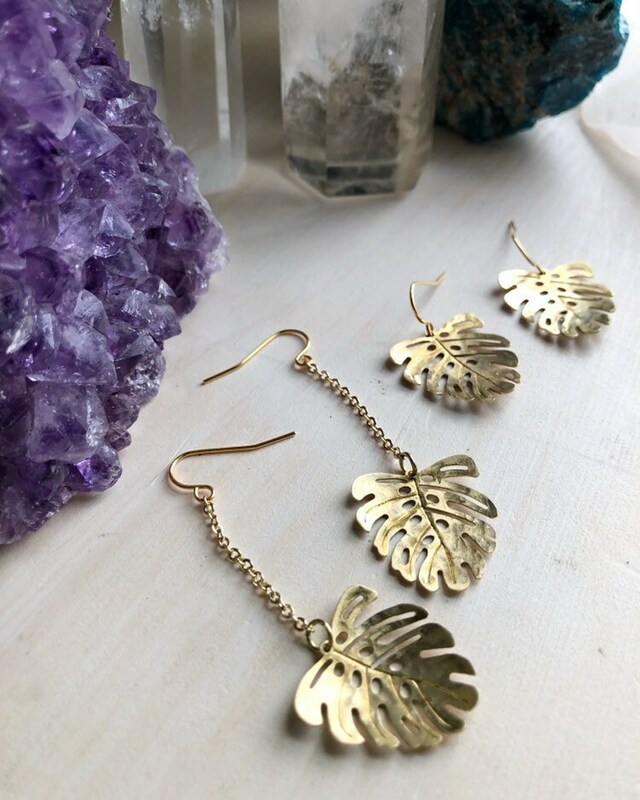 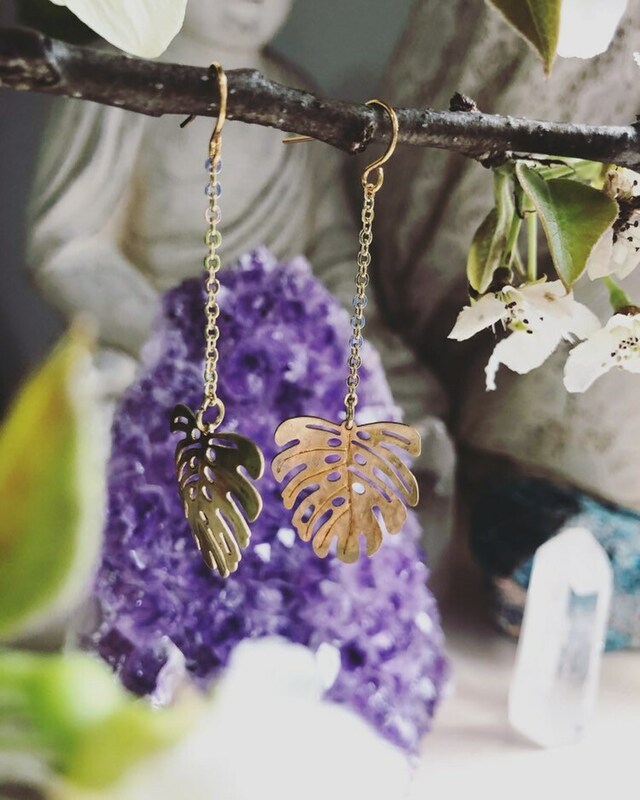 These light weight golden brass monstera leaves were sanded and hammered to create a more organic look and hang from golden stainless steel earring hooks. 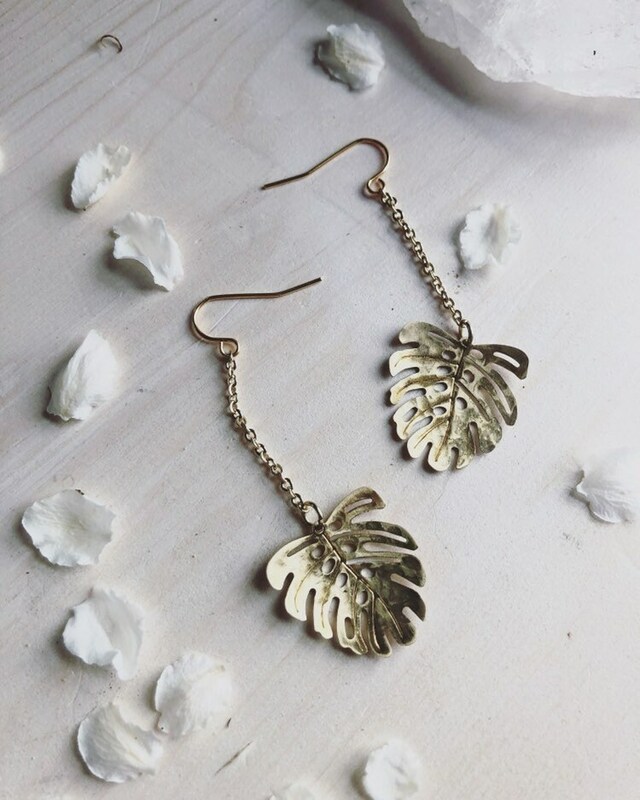 A great simple spring and into summer look. 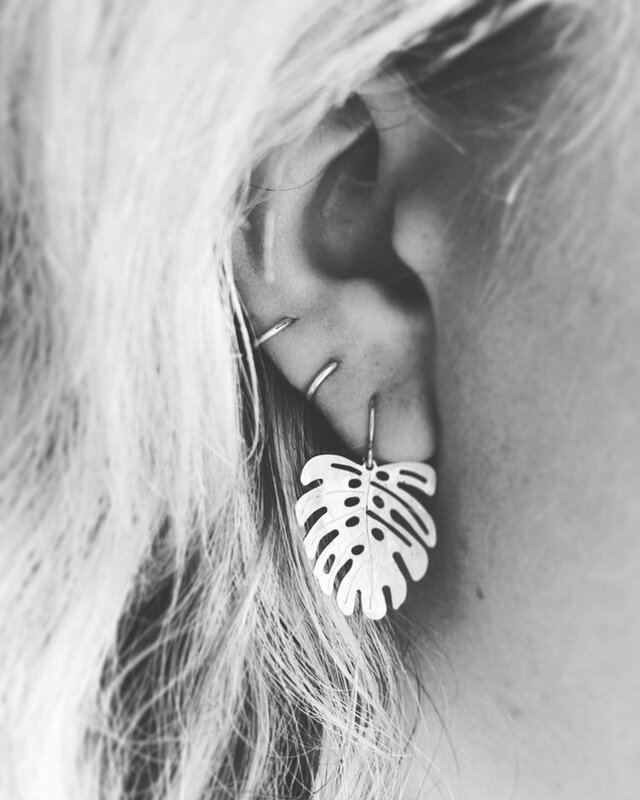 Choose long or simple hook dangles from the drop down menu.